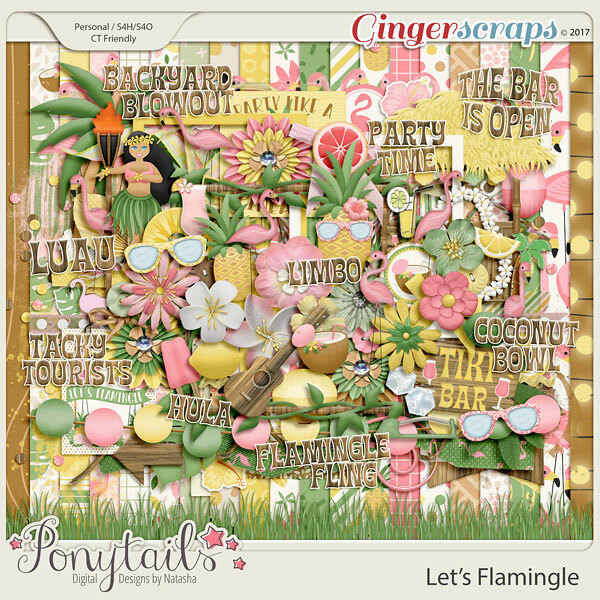 UNDER THE SUMMER STARS by Magical Scraps Galore is now available at GingerScraps and The Digichick and on sale! 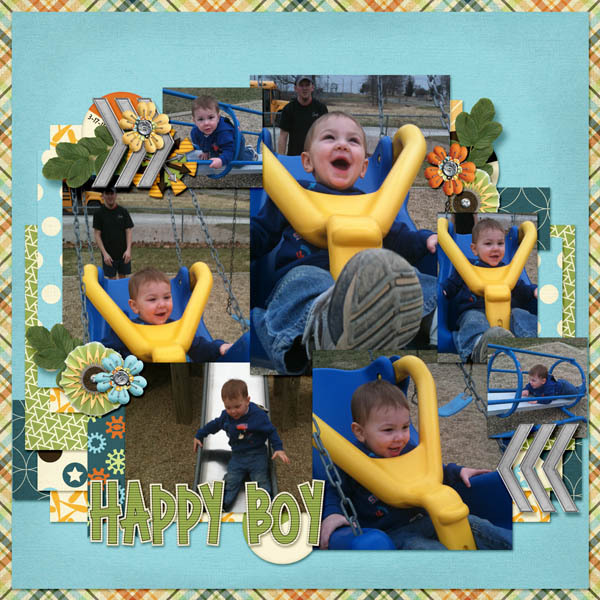 Find the full collection at 68% off -or the individual page kit and four add-ons at 30% off through Tuesday midnight. This is a gorgeous collection that captures the magic of hot summer nights. 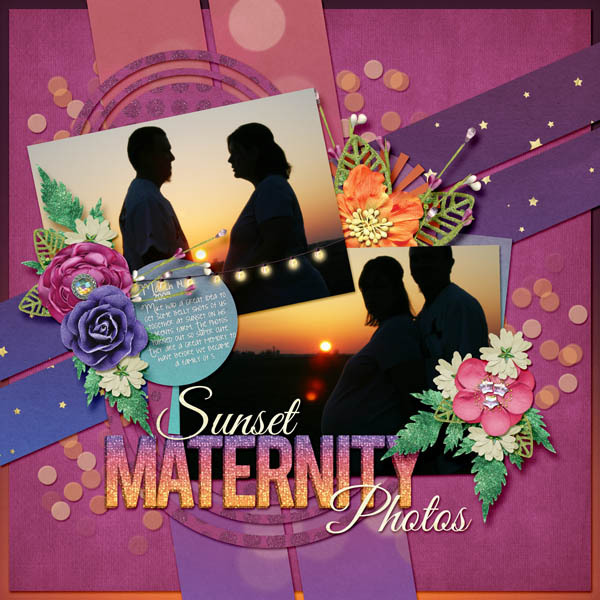 With its rich sunset colors and beautiful patterns, this collection is perfect to document all those special summer night memories, whether you are relaxing on the porch, catching fireflies, chasing sunsets, throwing a backyard party, cozying up around a bonfire, walking on the beach under the stars, or enjoying the nighttime magic at your favorite theme park. Stay tuned for Marina's new collection coming to my stores next week! 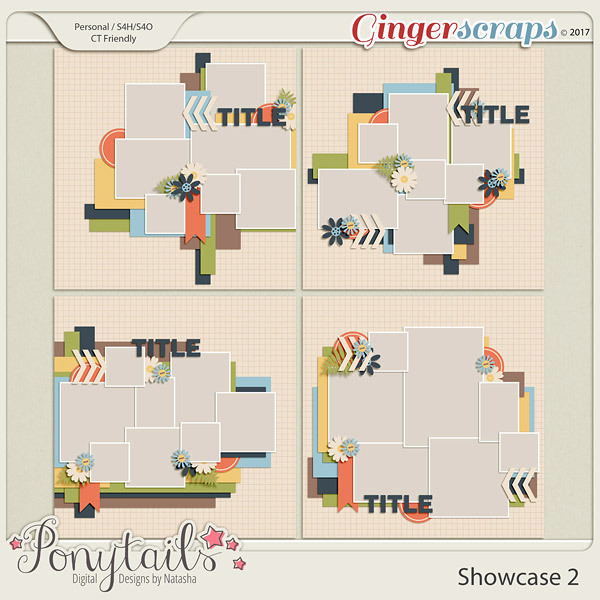 Ponytails Designs just released a new kit that's near and dear to my heart. It's called Let's Flamingle. The unofficial mascot for my father's side of the family is the Flamingo, thanks to my grandma. She hated the cheap plastic ones people put in their yards. She hated them so much that we would pester her with them. 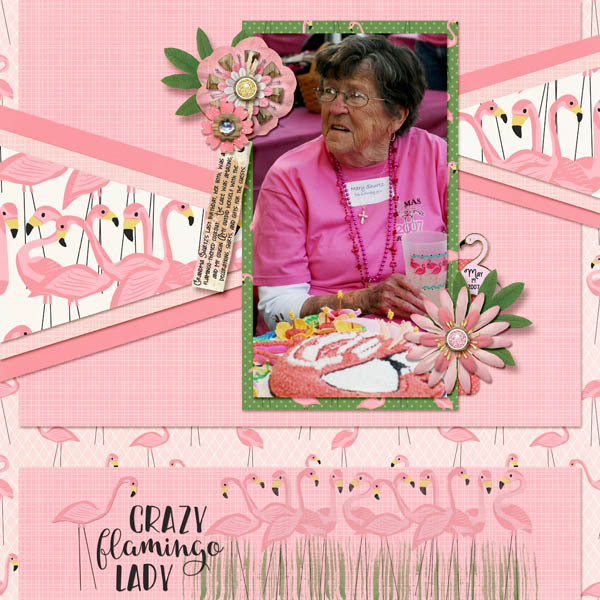 She even had a pink flamingo 80th birthday party. She's also releasing Showcase Templates Pack 2. LOVE this pack.